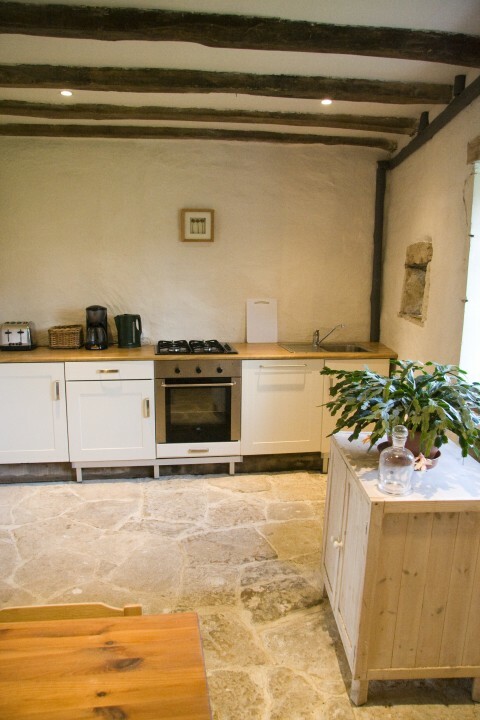 La Petite Maison boasts a wealth of original features. 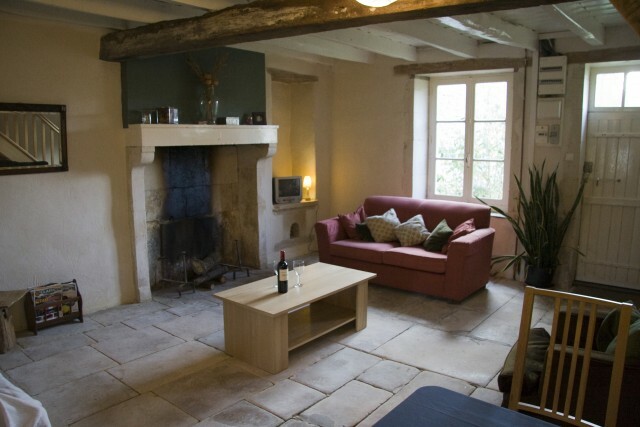 The original stone floors sit under beautiful exposed beams. 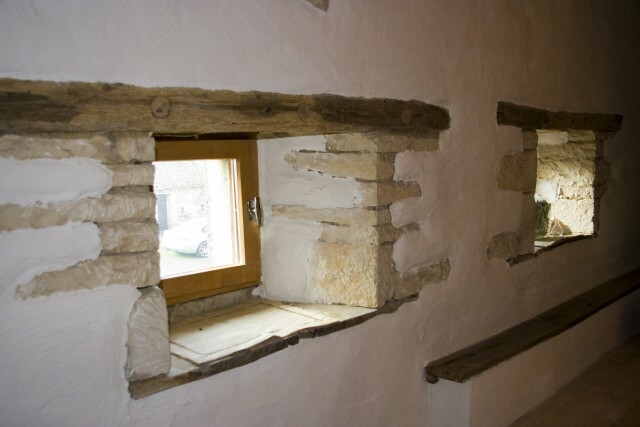 Arrowslit and bulls eye windows provide quirky natural light throughout the ground floor. 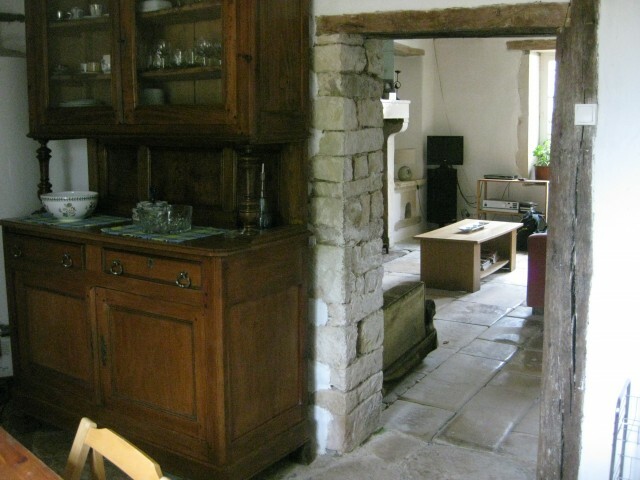 With an enormous fireplace and ancient potager (cooking area), the cottage is rich in both history and character. 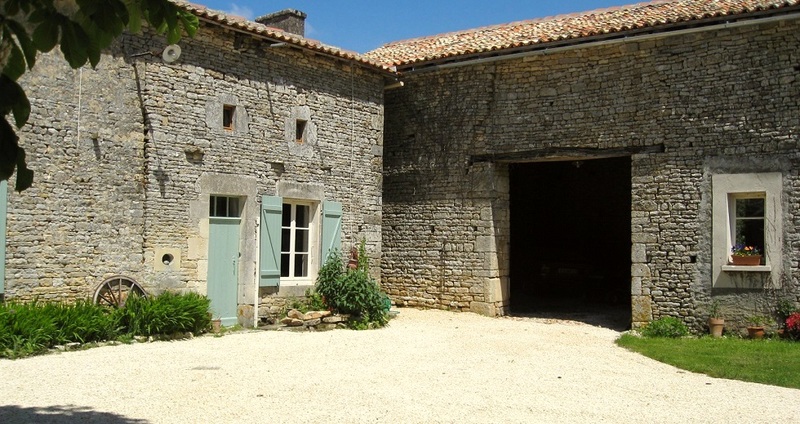 Lovingly restored to its former glory, with the conversion of the first storey grenier (grain store) to a spacious first floor, La Petite Maison can accommodate four guests in comfort. The sofa in the downstairs living room converts to a double bed for children or adults alike, should a larger party require the additional sleeping capacity. Kitchen: a fitted kitchen offers all modern conveniences, including a breakfast table and chairs, fridge/freezer, oven and dishwasher. Please note there is no washing machine, however, the owners are happy to provide use of one if required. Dining/Living room: an enormous fireplace dominates this room, into which has recently been installed a working antique Godin stove. The dining area has a large table and chairs and the living area has a large coffee table, two large sofas and an armchair. Entertainment is provided for by a flat screen display for UK freeview television and DVD viewing. The DVD player also plays audio CDs and the DVD is connected to a HiFi unit so that you can enjoy high quality audio. Bedroom 1 has a double bed with bedside tables and lamps each side, art deco armoire (wardrobe), chest of drawers and stripped wooden floors. A light and airy atmosphere is created by the Velux window (with black out blind) and the French doors to the private outdoor terrace, where this is a small table and two chairs for enjoying coffee and breakfast in the morning sun. There is also room for cots for younger families. 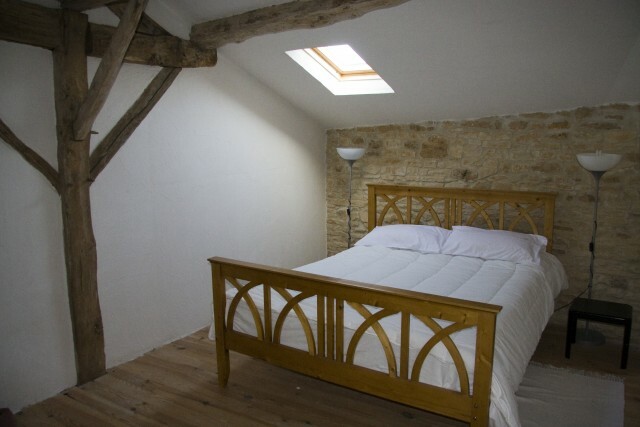 Bedroom 2 has a double bed with bedside tables and lamps each side, wardrobe, chest of drawers and stripped wooden floors. Light from the bull’s eye type windows to the front courtyard creates an ambient and soporific atmosphere. There is also room for cots for younger families. Bathroom: Family bathroom, full length bath with overhead shower, WC, sink with shaving mirror. wall mounted mirror and electric radiator and towel rail. 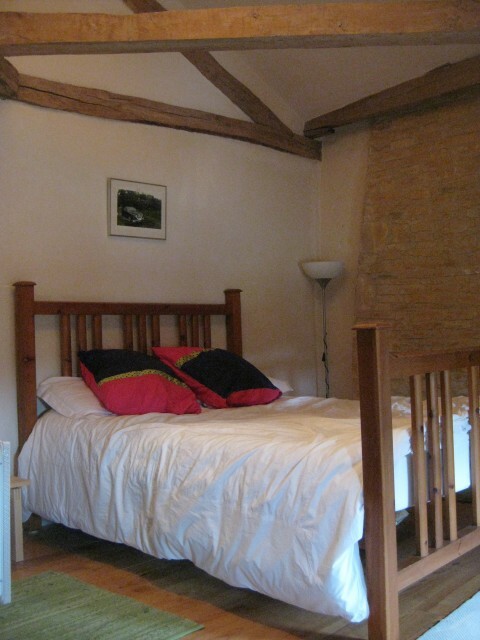 There is a third double bedroom that links La Petite Maison to the owners accommodation. 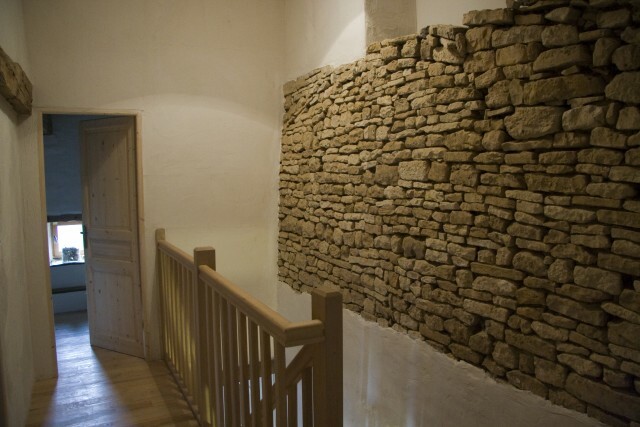 This can be made available to make room for larger parties. 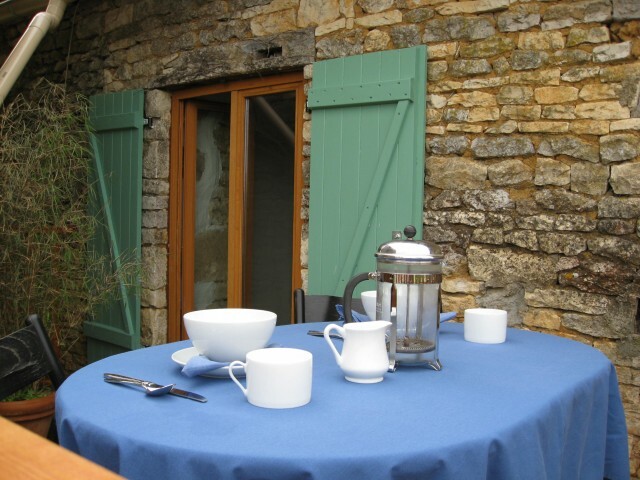 If you would like to see more about our other gîte, click here to view La Grange. Rates from £490 per week. Please use our online calendar to check weekly rental price and availability. Feel free to ask a question about anything and we’ll be pleased to help.